In 1985, Morikawa Industries Corporation began mass production of automotive bearing caps by an evaporative pattern casting process called the “Lost-foam” process. Automobile parts have high quality requirements in terms of durability and safety. 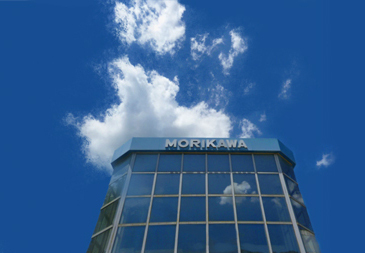 Morikawa’s “Lost-foam” technology has earned an excellent reputation from customers around the world. 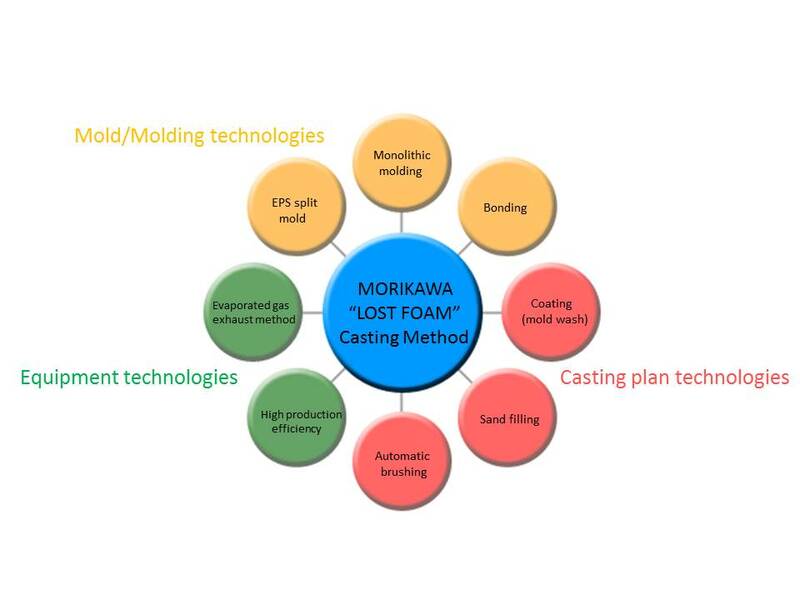 MORIKAWA “LOST FOAM” casting process (evaporative pattern casting process) . . .
As its name suggests, this is a casting method in which the “foam is lost.” A special styrofoam pattern (mold) shaped exactly like the product is buried in dried sand, and molten metal is poured into this mold. The styrofoam vaporizes and is replaced by the molten metal, producing a cast product with the same shape as the mold. 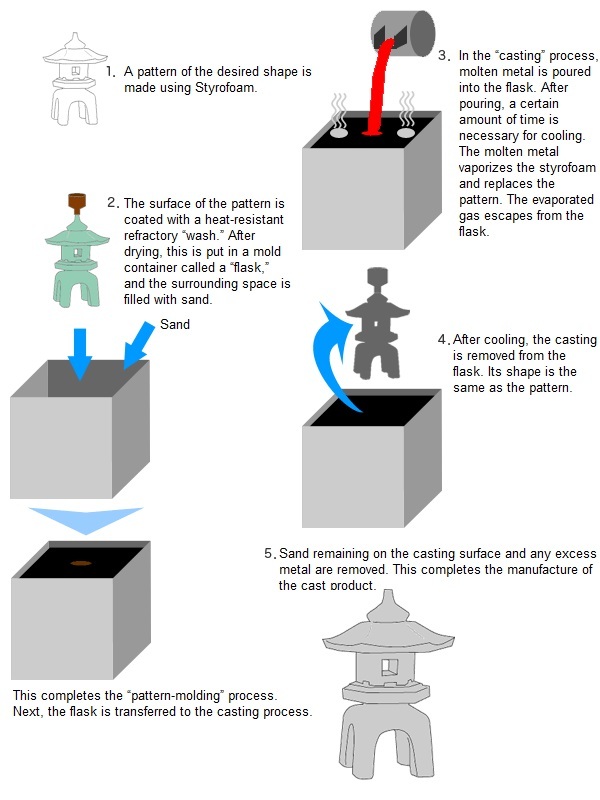 This casting method is called the “Lost-foam” casting process (evaporative pattern casting process). As features of the “Lost-foam”casting process, because the mold is produced by a simply process of assembling lightweight Styrofoam, etc. that can be performed by anyone, and the mold is only buried in sand, it is possible to produce “near-net shape” castings having complex shapes with high dimensional accuracy. This is also an environment-friendly process, as 100% of the sand can be reused.